there were churches. The earliest of them were built even before there were priests to serve them; when priests finally arrived, they were immediately welcomed and asked to serve liturgies in church buildings that were still under construction. The sequence of events described above was typical of almost any early community that developed amongst the early Ukrainian immigrants to this country. This presentation will summarize the sudden evolution and eventual decline of Ukrainian-Canadian churches over the last century (with particular reference to the Albertan experience), and examine the responses of parishioners, the Church, and preservation agencies to the plight of what once was a distinct feature of the Western Canadian landscape. for five or more parishes, which he would serve according to the time available and the distance that separated one parish from another. As a result, many of the churches in Western Canada were served about once a month. When considering additional services that were held in the Christmas and Easter seasons as well as funerals, christenings, and marriage ceremonies, it can be said that most of those churches were used about twenty- five times per year. The period of the Second World War and that directly following it were periods of reconfirmation. Some churches had become too small for their congregations of several generations, and new larger structures were built that reflected refined architectural tradition and interior painting even more than ever. That was buttressed by a fresh in flux of immigrants from Ukraine after WWII. Most of that group settled in the towns and cities of eastern and western Canada, and immediately began to influence the development and operation of eastern rite churches there. By the 1960s, the demographics of the Prairies had changed. It was no longer profitable to farm small parcels of land. Soon there was only one large farm where previously there were ten small family farms. As rural populations drifted to the cities, many of the services offered to rural and semi-urban communities were consolidated. Small schools were transformed into garages, granaries, and chicken coops. Postal services were no longer found at local general stores, and they soon shut down and disappeared as well, along with other services such as the local community halls. Yet , while railway services declined, motor transportation access to those remote areas improved rapidly. During the oil boom in Alberta in the 1970s, for example, the sudden investment into an improved network of paved roads and bridges resulted in an improved accessibility to the superior services of the cities. Abandoned buildings associated with the community services were either removed or fell apart. Soon, the only vestiges of community buildings that could be found in the rural areas were the churches. The impact of rural community decline on Ukrainian-Canadian churches was not as sudden. After all, many of them had never been used more than about twenty times a year. Thus, improved road access meant that it was possible to attend services in neighbouring communities while still maintaining one’s own ancestral church. Still, as schools were no longer part of the rural farming communities, there was less incentive for families with school-age children to live on the farm and attend services at the churches. In addition, that was also a time of a growing disassociation of society from regular church attendance. passage of birth, marriage, and death. It was expected that they would be preserved for future generations. Therefore, many parishioners felt bound to hold at least a few services per year in their churches, to guarantee that they would have somewhere from which they would be interred in the cemetery and from which their descendants would continue to maintain their ancestral heritage. 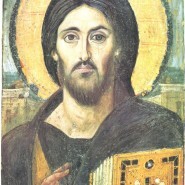 By the 1970s, the concept of heritage had taken strength in provincial and municipal jurisdictions and legislation, which suggested a willingness to find resources, even financial, to heighten an awareness of heritage and promote preservation.7 In more exceptional cases, that had included the relocation and restoration of unused Ukrainian church buildings to open-air museums such as the Ukrainian Cultural Heritage Village near Edmonton, Alberta, the Western Development Museum at North Battleford, Saskatchewan, and at the Selo Ukraina museum on the National Ukrainian Festival grounds near Dauphin, Manitoba. the specific open-domed characteristics of their architecture. Preservation assistance programs reduced the pressure on those groups who wished to maintain their architectural heritage. proposals was whether the overall results would improve viability of the project’s sponsors. Other factors that were taken into account included whether a building or property was unique, sole survivor of its type, or the work of a master craftsman and under threat of demolition. One of the earliest cases where public sentiment confronted the logic of viability when it came to Ukrainian-Canadian churches occurred in the early 1980s. A parish in Portage La Prairie, Manitoba, decided to demolish their large church building in favour of a newer structure that was smaller and easier to heat. In that instance, all plans had been reviewed with the clergy, and even received its approval. However, the 1925 church’s architect and its painter of interior finishes were deemed to be of historical significance to some, and both the parish and the Church were criticized for their approach to the problem.9 Nonetheless, other parishes were beginning to quietly close down and dispose of their churches. not sordid”11 use, upon agreement of all affected, including the local bishop. While earlier instances had occurred where individuals or groups had acquired church structures for whatever use they wished, it became rare. In other cases, the temples of disbanded parishes were picked up and physically transported to another parish or religious property rather tha n being demolished. Russian Orthodox denominations undertake the disbanding of parishes in a much more ritualistic fashion than before. The rituals provide an appropriate sensitivity to the process of disbanding with appropriate legality, since the by-laws of most parishes inevitably note that property is to revert to the Church upon dissolution. Those rituals can include the celebration of a final liturgy in the church, a memorial service to deceased members of the parish, the removal of any relics that might have been installed in the church, and the dispersal of any church furnishings that might have been donated by a particular family or individual back to the source or their descendants or representatives. Remaining furnishings are removed to a central depository or museum collection. The building is then burned on its original site, or the structure is dismantled so that the materials can be burned in a safer location. One of the more recent and innovative examples of church building preservation and relocation has been the St. Onuphrius Church project. St. Onuphrius Church was constructed mainly from 1915 to 1925 in a community north of what became Smoky Lake, Alberta (some 140 kilometres northeast of Edmonton). It replaced a smaller chapel that had been constructed at the cemetery as early as 1908. Pieces of the dismantled chapel were reused in the construction of the new building. As was often the case, the church was improved frequently over time in both its structural components and contents. By the early 1960s, it had been replaced as a “full-time” place of worship by a much larger structure in the nearby townsite of Smoky Lake. Thereafter, it was used mostly for funeral and annual grave-blessing services for people who were interred in the graveyard. Civilization in Gatineau, Quebec. In partnership with the Historic Sites Service of the Department of Community Development, Province of Alberta, the church building and its contents were analyzed and documented in detail. To that time, the Historic Sites Service had acquired quite a lot of experience in working with Ukrainian-Canadian churches, especially with the restoration and presentation of the three located at the Ukrainian Cultural Heritage Village. A final church service was conducted by the bishop responsible for the church, complete with a memorial service for its deceased members. Subsequently, artefacts from St. Onuphrius Church that were not in active use in the Smoky Lake parish were donated and transported to the Museum of Civilization. The building was then dismantled board by board and sent on to the museum as packaged components. Only the floor of the church remained at the original site, and was disposed of by burning. As had been the practice at the Ukrainian Cultural Heritage Village, a specific year of restoration and presentation was selected for St. Onuphrius Church (1952). The building was then reassembled in the Museum of Civilization gallery to its appearance in that year and contents from that period were reinstalled in it. Anything that was added to the structure was done in a fashion that preserved original materials and the patina of wear that had accumulated on them over the ages. Therefore, many of the additions were routed through the new floor structure. 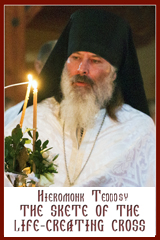 The church was reopened and re-consecrated by the Metropolitan for the Ukrainian Catholic Church in Canada on St. Onuphrius Day, June 25’h, 1996. Since that time, it has served both as museum exhibit and place of worship. Use of the church in such a manner was developed with members of the former congregation of St. Onuphrius Church, and with representatives of the Ukrainian Catholic and Ukrainian Orthodox churches in Canada. Most recently, members of the original parish came to the museum to hold a memorial service on the ninetieth anniversary of the beginning of construction of the church. and they draw attention to their continuing decline and potential fate. Over the past decade, several philosophies and trends have emerged from the previous phase of preserving Ukrainian-Canadian churches that are leading to new changes. The philosophy of “preservation ,” for example, has now been confronted with the reality of legal liability. “Liability” is a term that bears ominous tones to parishes, church administrations, and municipal administrations alike, to the point where churches may have been dismantled and destroyed at a faster pace in recent times to avoid any potential legal headache. In other cases, the several decades-old protection offered by preservation authorities through voluntary designation in return for financial assistance have become too restrictive for church administrations and parishes. While that protection was offered in good faith as much as a quarter-century ago, it was not only applied to structures whose parishes were in decline, but also to active churches whose architectural features were deemed to be important to preserve. Inadvertently, that has created some unease with church authorities, who do not want the continued growth of their Church hampered by having the appearance of their temples regulated by others and frozen in time in an “as-built” condition. As well, the prestige associated with having a church protected by legislation has been transformed into feelings of encumbrance, for it has been the Church that eventually bears the financial brunt of maintaining those protected structures well after a parish has been disbanded. Consequently, church leaders have become less supportive of having their parishes designated as historic resources or sites. of parishioners or their sponsoring eparchies, but also by the community at large. That is especially significant in those parishes or communities whose predominant population no longer relates to the origins of those churches through kinship, for it places a stronger onus on those communities to recognize and support the pioneer churches as landmarks that reflect local, regional, and even national history.